Warrior Maven Video Above: Will the F-35 Mission Data Files Identify Russian & Chinese Stealth Fighters? This story originally appeared on Dec. 30, 2014. On Jan. 2, 1967, around 30 U.S. Air Force F-4 Phantom fighter jets flying from Ubon in Thailand shot down a full third of North Vietnam’s MiG-21s—for a loss of just one of their own. It was a strategic victory in an air war that had been going poorly for American forces. And now newly-declassified documents reveal that this complex mission—Operation Bolo—couldn’t have succeeded without significant help from the signal-snooping Air Force Security Service. And to avoid a squabbles over scarce intel resources, the Op Bolo units had to keep the National Security Agency in the dark. The operation—originally known simply as the “special mission”—had a hard time getting approved in the first place. 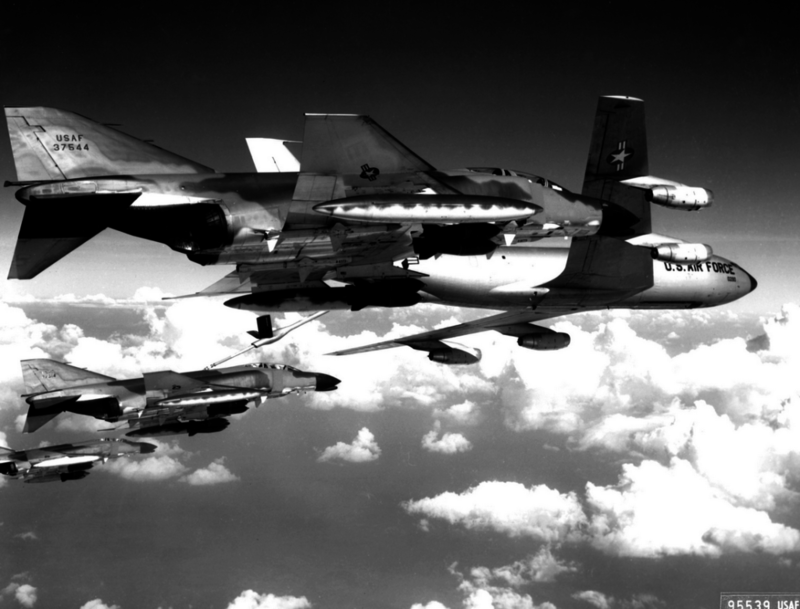 By the end of 1966, both sides in the bitter war had lost just a few aircraft in air-to-air combat over North Vietnam, rendering a dramatic aerial sweep unnecessary. In almost two years of air strikes, the Pentagon had lost only 10 planes to enemy MiGs. American fliers had themselves scored fewer than 30 aerial kills. On top of this, Washington was worried about drawing countries including the Soviet Union and China into the conflict—a distinct possibility considering that Soviet and Chinese advisers were working with Hanoi’s air force. The rules of engagement forbade American pilots from attacking Hanoi’s airfields for fear of killing foreign advisers. Knowing all of this, the Vietnamese People’s Air Force adopted new tactics for harassing its larger and vastly more powerful American enemy. The MiGs would zip through flights of less nimble fighter-bombers just long enough to scare American crews into ditching their bombs or extra fuel tanks. Afterwards, the North Vietnamese pilots would often speed back to their bases—safe from their opponents—without even firing a shot. The U.S. Air Force’s Seventh Air Force, which controlled most of the service’s operations in Southeast Asia, was soon fed up with this dynamic. So the unit’s commanders proposed an elaborate ambush aimed at whittling down Hanoi’s fighter jets. 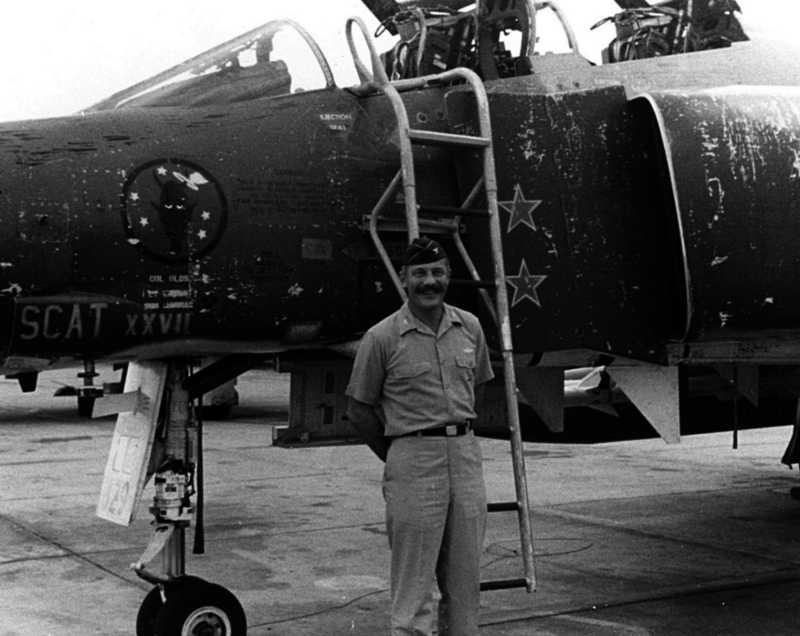 Seventh Air Force chose the famous Robin Olds—then a colonel in charge of the 8th Tactical Fighter Wing in Thailand—to lead the American strike force. To lure out the North Vietnamese, American F-4s would fly the same routes into the country as the heavyset F-105 bombers—and at the same altitudes and speeds while using the same radio call signs. But another key—and previously unknown—element of the top secret plan involved deploying signal-snooping aircraft to keep track of the MiGs. The special C-130B-IIs would listen in on enemy radio chatter and feed information straight to American pilots throughout the mission, according to a just-released historical study. Olds wanted to be alerted if things weren’t working out so he could “turn around and lead the force home rather than expose it for no purpose,” the official document explains. But the secret spy planes in question were tangled up in a serious bureaucratic mess. While technically Air Force property, the special C-130s fell under the control of the National Security Agency, which could refuse to loan them out for the mission. NSA officials had objected to sending the aerial spooks—which flew under the codename Silver Dawn—on regular military operations. With fewer than 20 modified Hercules flying worldwide, the NSA probably worried these sort of day-to-day requirements would impede its own intelligence-gathering. To alleviate these concerns, Pacific Air Forces tacitly approved a novel idea. Up and down the chain of command, everyone would simply cut the NSA out of the loop. In any event, the flying branch’s commanders in the Pacific felt that the existing Silver Dawn mandate justified sending the C-130s to help out with Operation Bolo, anyway. Intelligence specialists were already using radio chatter that the Silver Dawn planes scooped up to figure out how many fighter jets Hanoi had on hand and where the aircraft were located, according to separate documents the NSA released recently. The Air Force’s Pacific headquarters “seemed to feel that [Seventh Air Force] was responsible for fighting the war in whatever way was necessary.” But if the spy agency did find out, PACAF would “play down any prior knowledge of Silver Dawn involvement or deviation from normal operation,” the special history notes. The 6922nd Security Wing, which provided the intelligence personnel to operate the C-130s’ special gear, also refused to be a part the final planning process—in order to shield itself from any repercussions. Maj. John Chaueteur, who acted as a go-between for the Seventh Air Force and the Air Force Security Service, was most concerned about going behind the NSA’s back. Chaueteur was in the uncomfortable position of effectively being ordered not to do his job. “Chaueteur gets ‘clobbered’ every time he uses NSA as a reason for not doing something that [Seventh Air Force] wants done,” the Air Force monograph quotes another official as saying. Chaueteur was so worried about being reprimanded or relieved that he ordered the head of the Silver Dawn project to destroy evidence of any messages concerning Operation Bolo. To help keep up this ruse-within-a-ruse, the bulk of the task force was told that normal EC-121 radar planes were supplying updates on the MiGs during the operation. This misinformation would also prevent the North Vietnamese pilots from thinking anything was amiss. When Operation Bolo finally kicked off, two Silver Dawn C-130s were already orbiting in the Gulf of Tonkin, scanning the airwaves. Vietnamese, Russian, Chinese and Korean linguists were all at their posts. These specialized personnel not only made sure the Vietnamese were responding as expected, but also kept watch in case Chinese jets decided to join the battle. Olds wanted to know if Russian or North Korean advisers were actually in the cockpits when the fighting started. The operation turned out to be a major success for the U.S. Hanoi’s pilots were caught completely off guard. “I’d like to come down now,” another Vietnamese pilot reportedly declared. Seven MiG-21s fell to Earth. The Pentagon had estimated Hanoi possessed between 20 to 25 of the jet interceptors before the secret op. The NSA doesn’t appear to have been aware, at the time, that the Air Force had appropriated its aircraft. We couldn’t find out what happened to Chaueteur, but Olds earned a promotion to brigadier general the following year. After a series of additional aerial ambushes, the Vietnamese People’s Air Force grounded its MiGs and completely revised its procedures. At the end of the year, Washington approved strikes on Hanoi’s air bases. By 1973, American airmen had scored 137 confirmed air-to-air kills against their North Vietnamese adversaries.